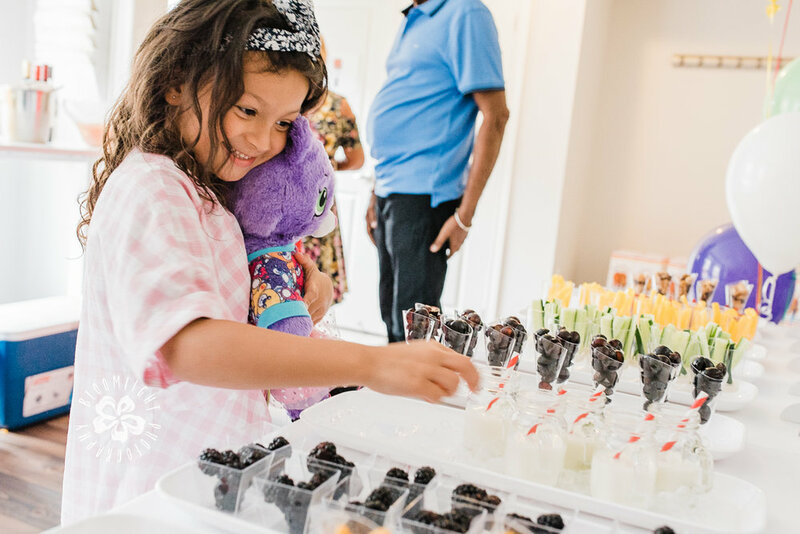 First birthday party at home is always a trend and can be full of fun for both children and adults. 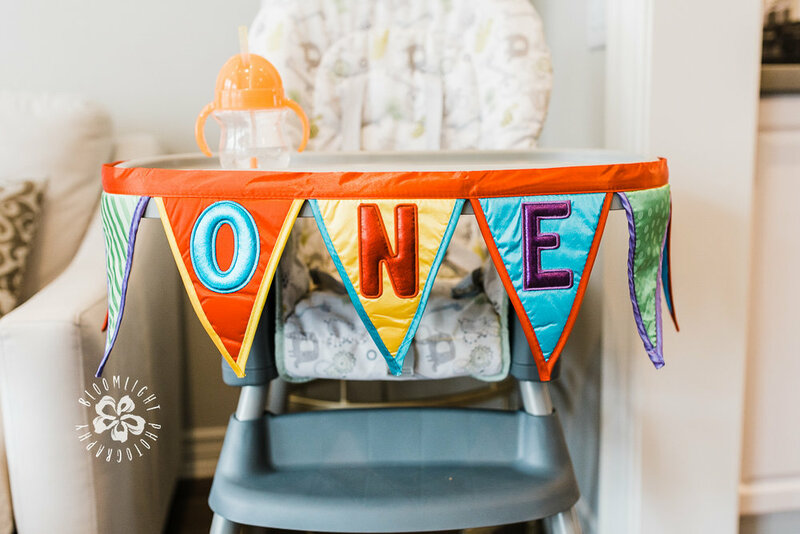 I hear from lots of moms in Toronto facebook groups everyday that are looking for different entertainment ideas for their baby’s first birthday celebration. 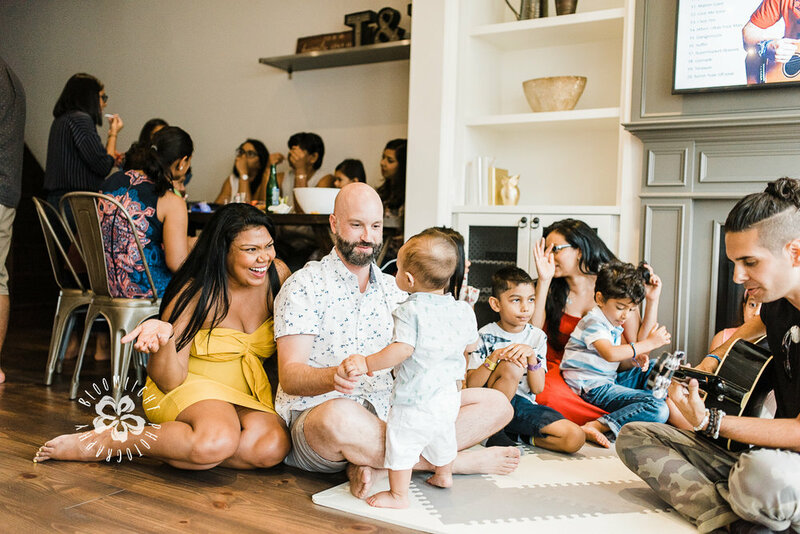 Recently, I have documented an in-home baby boy’s first birthday party that I think it was full of fun and joy for the guests especially for the children. Hope this gives mammas out there some inspiration. 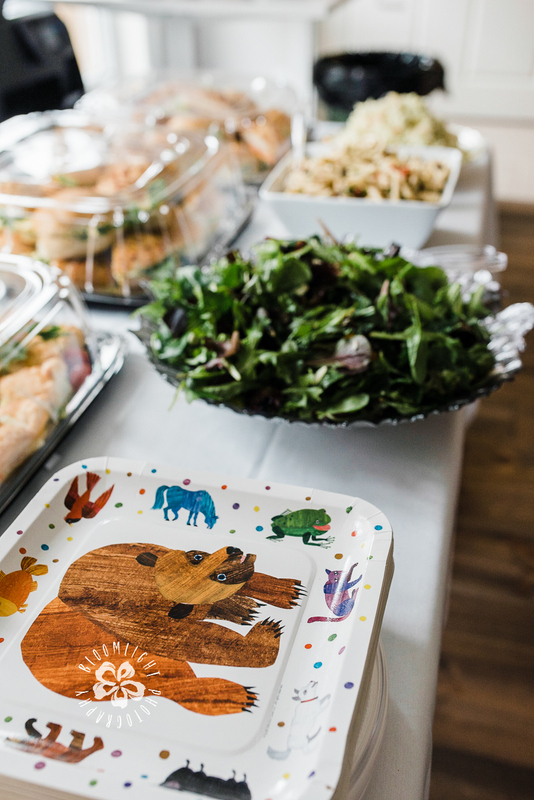 The party started with lunch and snacks; but the theme of the party “Brown Bear and Animals” makes this part even more interesting and delicious! The theme was based on the storybook “Brown Bear, Brown Bear, What do you see?” which is Riley(our baby boy who turn one)’s favourite book. 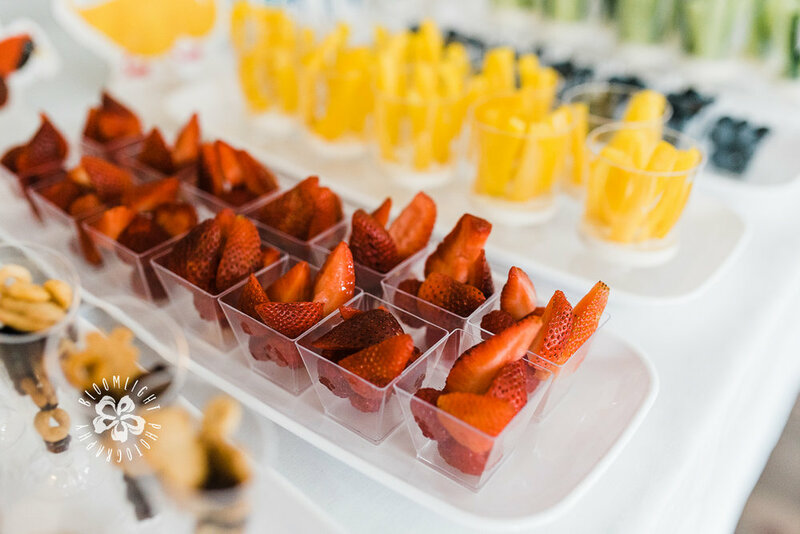 Healthy finger foods such as cucumbers, carrots in little cups that match with animal’s decorations and colors. We all know kids like milk and of course, Riley’s mom is smart enough to serve milk for each kid in a cute glass bottle. 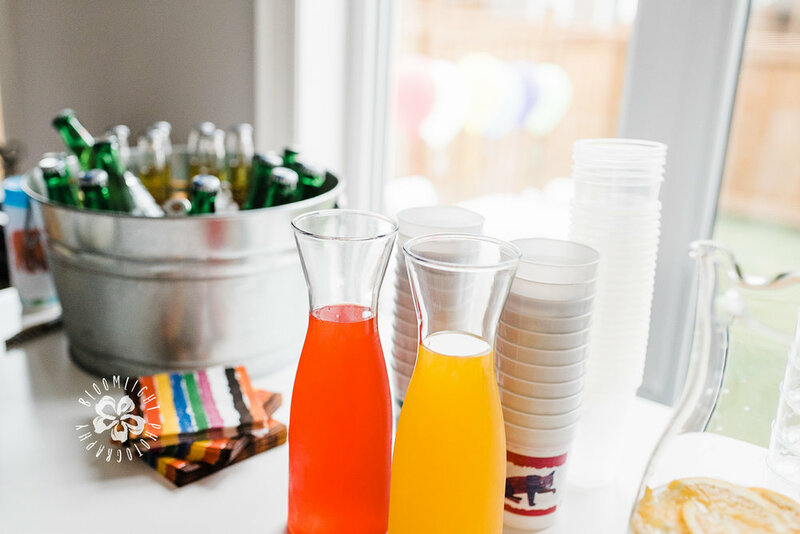 Special table of cheese, crackers and fruits was a perfect choice for parents in the party. The gift table was so unique, too. 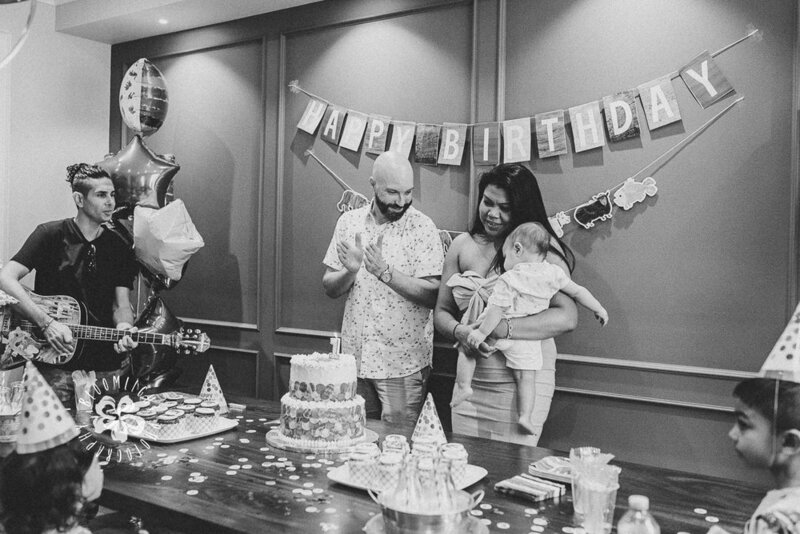 Small photo prints of the family and the baby boy since his birth was perfectly designed to display number ONE as a symbol of his first birthday. After lunch and greetings, party continued with some live music specific for kid’s songs. This part was my absolute favourite. All children was so engaged in the music and the friendly musician was awesome to make this party event even more joyful. 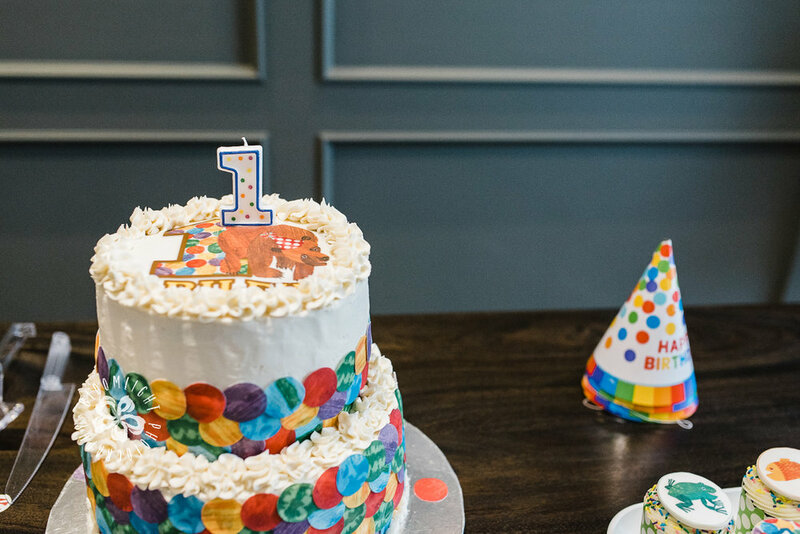 The cake table was so well decorated matching with the “baby bear “ theme: Full of bold colors, cupcakes with toppers of different animals pictures, colorful tissue, Balloons, and confettis which all make the party more childish and joyful. The birthday cake and cupcakes designed by talented The Cookie Shop in Toronto. Finally, the celebration of first birthday and the cake cutting part. This was the time for some family photos while HAPPY BIRTHDAY song and all birthdays wishes could have been heard.